Over the last few years, Africa has become my favorite continent. I’ve fallen hard for the incredible landscapes, world-class safari experiences, diverse cultures, and my South African boyfriend, Meyer. With 54 countries on the continent, I still have a long list of things I want to see and do. 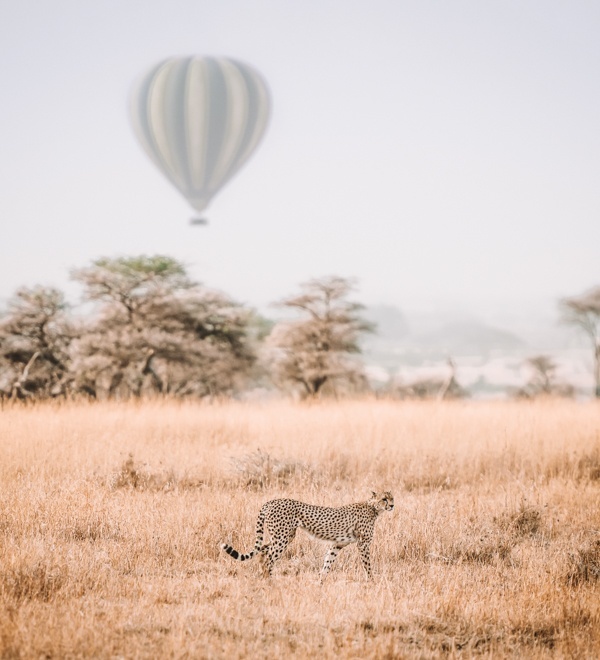 So I put together a bucket list with some of my favorite Africa travel experiences as well as the ones I’m hoping to cross off in 2019. 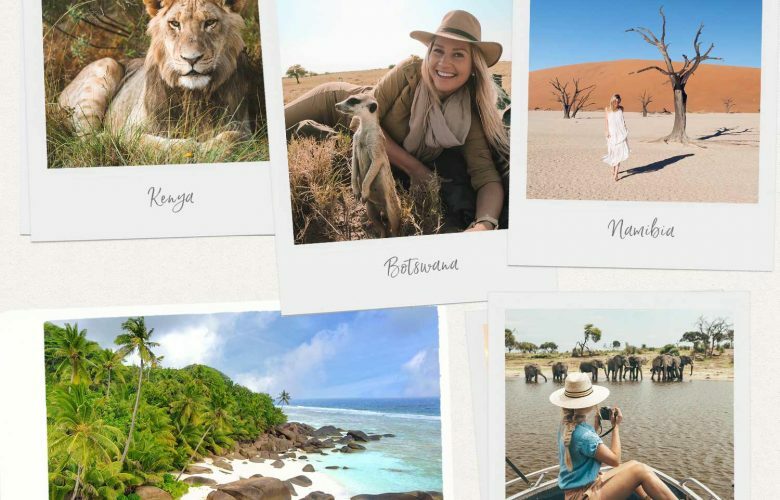 From road tripping through Namibia to gorilla trekking in Uganda, gazing upon the Pyramids of Eygpt, glamping in the Saharah desert to cruising along the Okavango Delta in Botswana – Africa is full of incredible adventures! 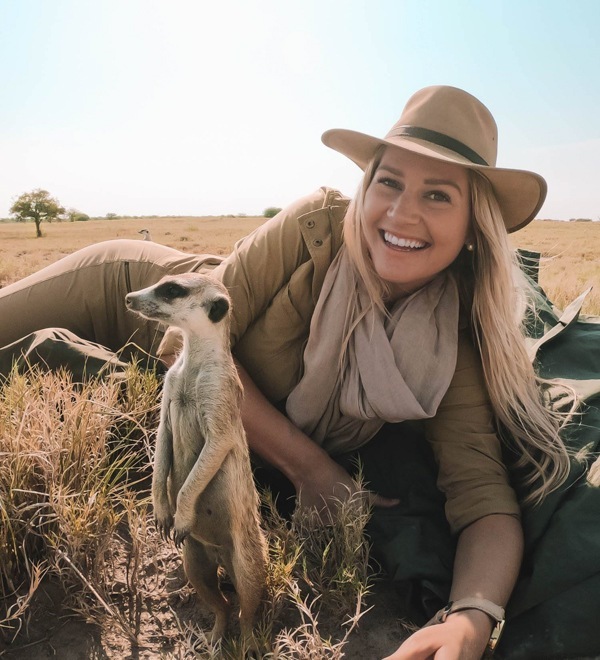 Here’s my ultimate Africa travel bucket list! Botswana is one of the top safari destinations in Southern Africa. The Okavango Delta region and Chobe National Park offer some of the best wildlife viewings on the planet, especially during May and September. Another highlight for Botswana is the country’s rich history. Discover the San Bushman culture in the Tsodilo Hills. It’s a UNESCO World Heritage Site and is a spiritual outdoor art gallery that features more than 4,000 ancient rock paintings. Egypt has captured the imaginations of travelers for centuries. Home to incredible temples and tombs, it’s full of historical treasures, excellent scuba diving, and the famous Nile River. It’s a destination mixed with unique adventure and cultural activities! 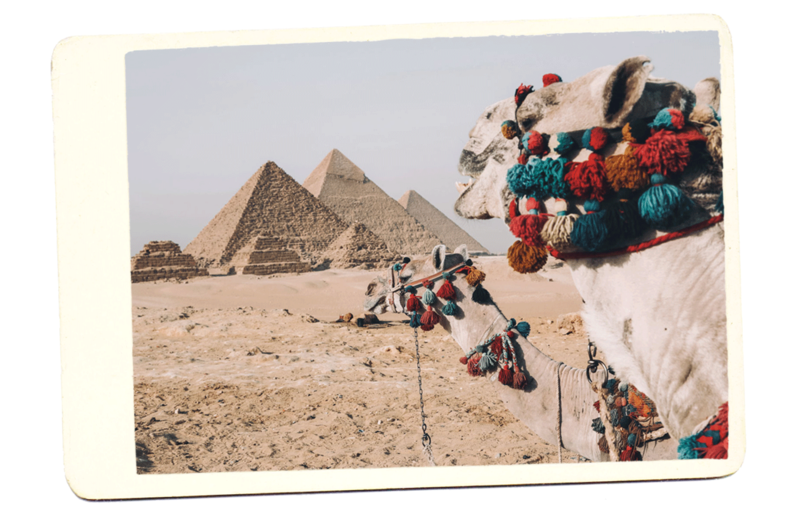 City slickers can explore the sprawling megalopolis of Cairo. 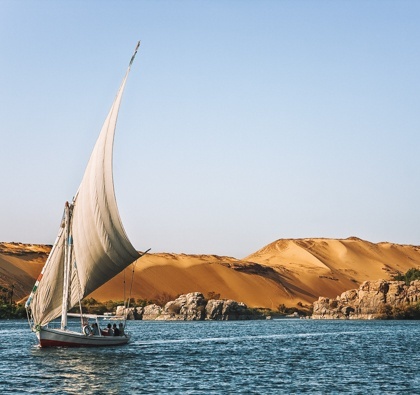 Archaeology nerds can soak up the ancient history of Luxor and the Pyramids of Giza while beach bums can relax on the coast of Sinai and dive in the Red Sea. 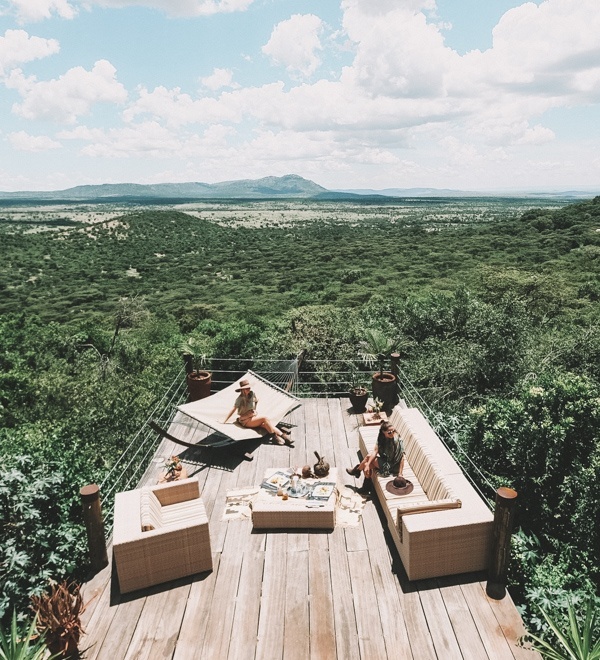 Kenya is much more than a world-class safari destination. Its coastline is a trove of treasures with sandy white beaches and some of the best snorkeling and diving conditions in East Africa! 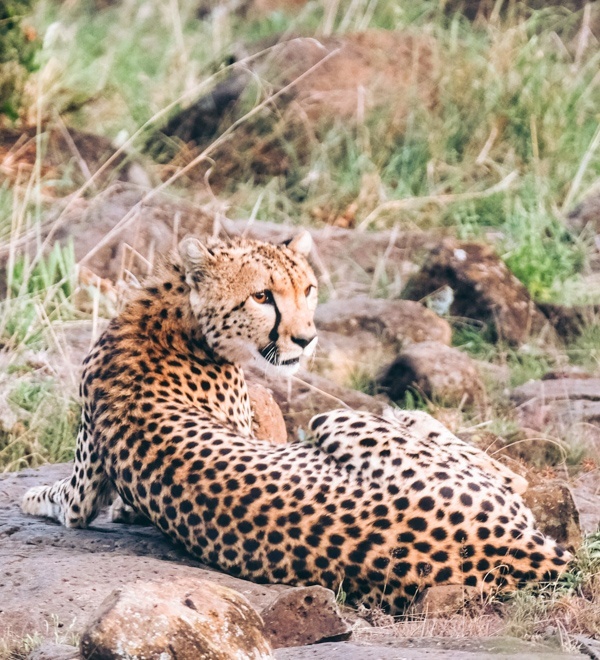 Home to the Great Migration in the Massai Mara, Kenya’s other national parks won’t disappoint animal lovers. Visit Amboseli to see Mount Kilimanjaro in the distance or go on a road trip to Lake Nakuru, covered with thousands of flamingos. Besides its sun-soaked lands, Kenya is a melting pot of cultures and cuisines. Learn about Swahili history and visit ancient tribes to learn about their centuries-old traditional customs. 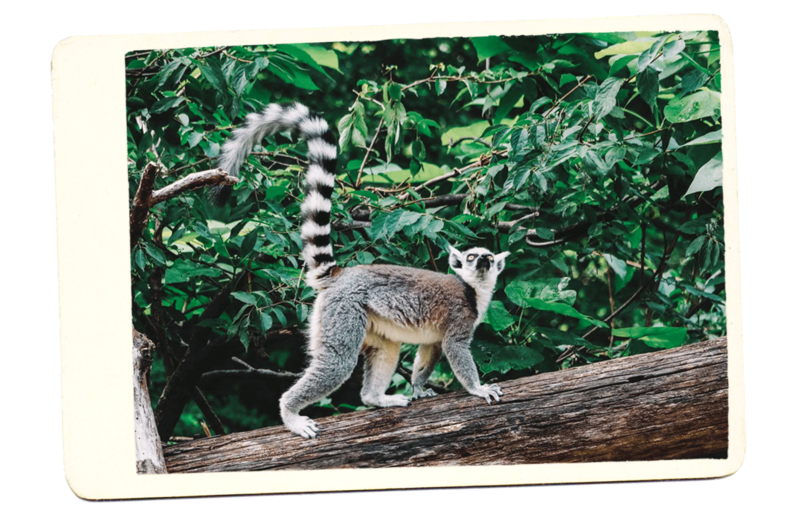 Madagascar is a dream destination for outdoor lovers. 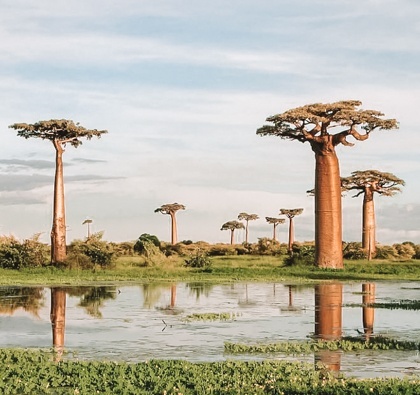 The fourth largest island in the world, it boasts lush rainforests with winding hiking trails, curious lemurs, towering baobab trees and a mish-mash of cultures from various corners of the Indian Ocean. But with a lack of infrastructure, Madagascar is a destination for travelers who love getting off the beaten track in search of adventure. The island’s national parks only see a few hundred visitors a year, and off-road driving is a requirement. Spend your vacation rock climbing, mountain biking, diving, or venturing off to nearby deserted islands. There’s nothing I love more than disconnecting from the online world and unwinding on a tropical island. Mauritius is the perfect destination for a digital detox or an epic five-star honeymoon experience! 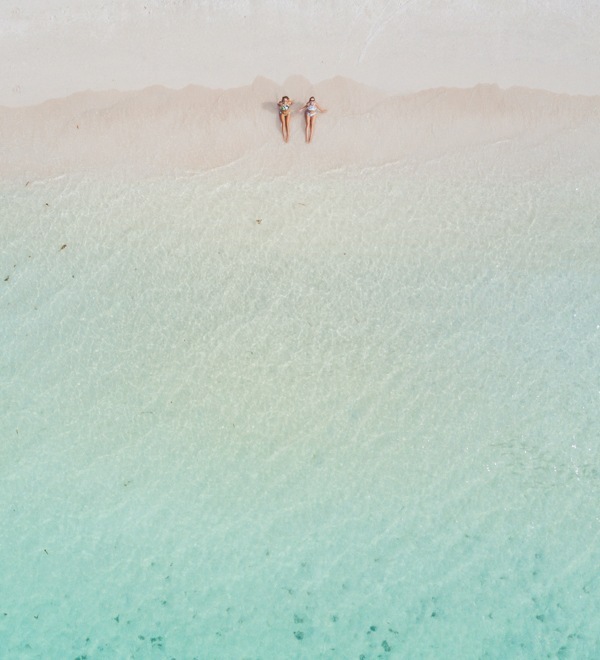 Bask in the sun on the lush deserted beaches, dip your toes in the warm turquoise blue seas and explore the island’s untouched natural wonders. 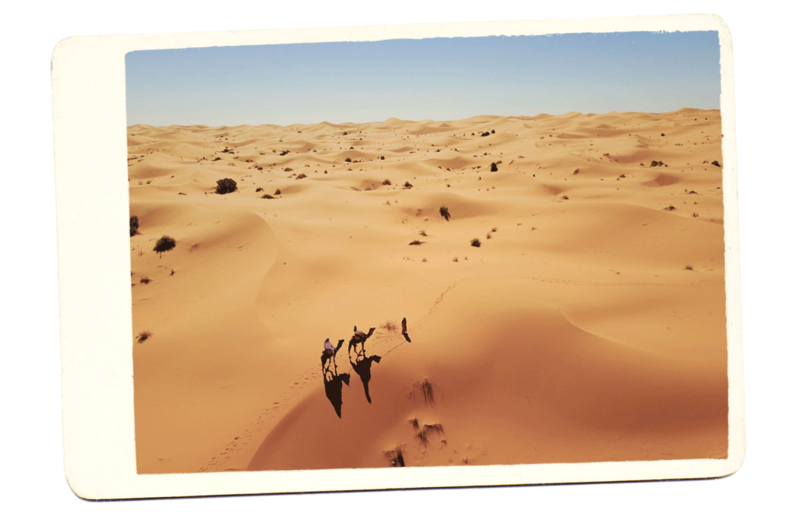 Morocco is a destination that has enchanted writers, artists and filmmakers. With its colorful markets full of intoxicating scents to the breathtaking Saharah desert – it’s unlike any other country in North Africa! While you can see the top sights in a few days, I highly recommend taking two weeks to explore the country. It will give you enough time to go glamping in the desert, wander around the beautiful blue houses of Chefchaouen and visit some of the lesser visited cities like Essaouira! 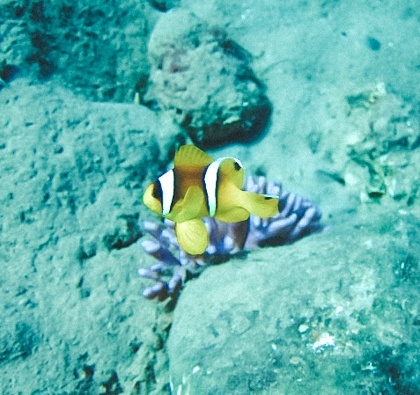 One of my top destinations for diving in Africa is Mozambique! 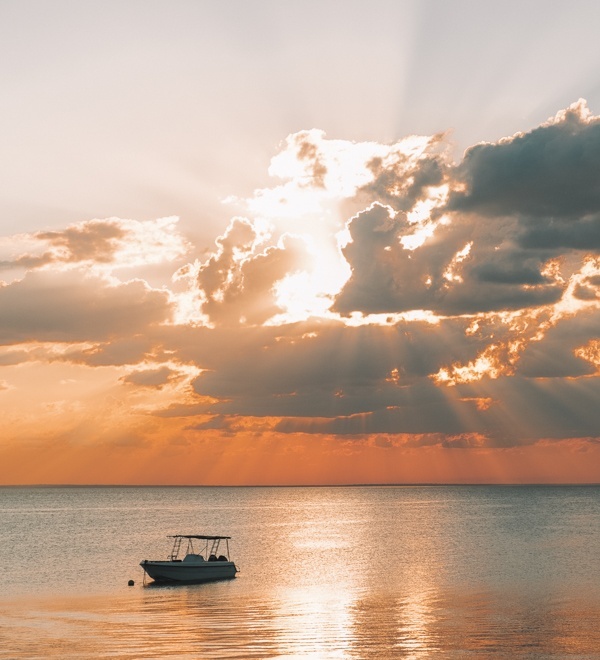 The country’s coastline is framed by sparkling blue waters that are home to rare marine life like dugongs, endangered sea turtles, and whale sharks. Fly into the capital city, Maputo, or head further up the coast to the town of Inhambane. While the road conditions have improved over the years, I’d highly recommend renting a 4×4 especially if you love tackling sand dunes! If there is one destination in Africa blowing up at the moment – it’s Namibia! 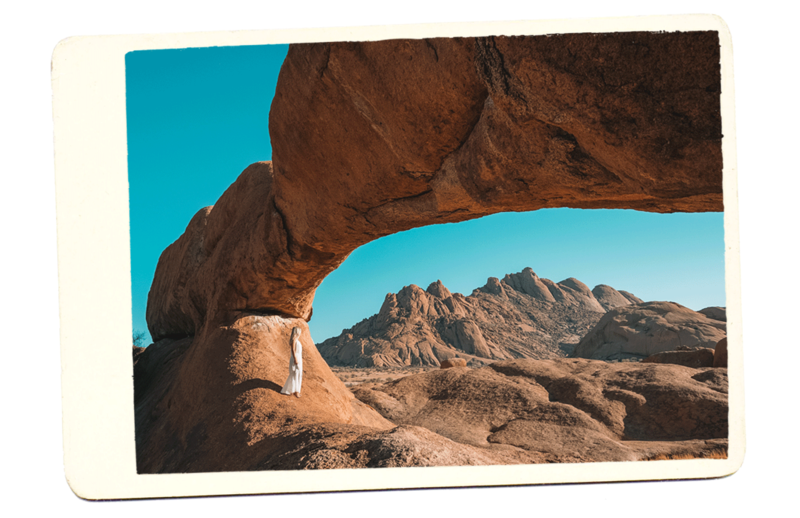 The stunning Southern African country is a photographer’s dream come true. It’s one of the best places in the world to go on a road trip with spectacular attractions spread out over its vast landscape. Hire a car and take your time driving up the famous Skeleton Coast (keep an eye out for shipwrecks! ), past Sossusvlei and further north to the beautiful Etosha National Park. I’ve explored Namibia twice and plan to go back in 2019 with my new Land Rover! There’s something magical about the Seychelles Islands. Located east of Kenya, it’s a tropical paradise that is full of UNESCO world heritage nature reserves, lush jungles and thriving coral reefs. 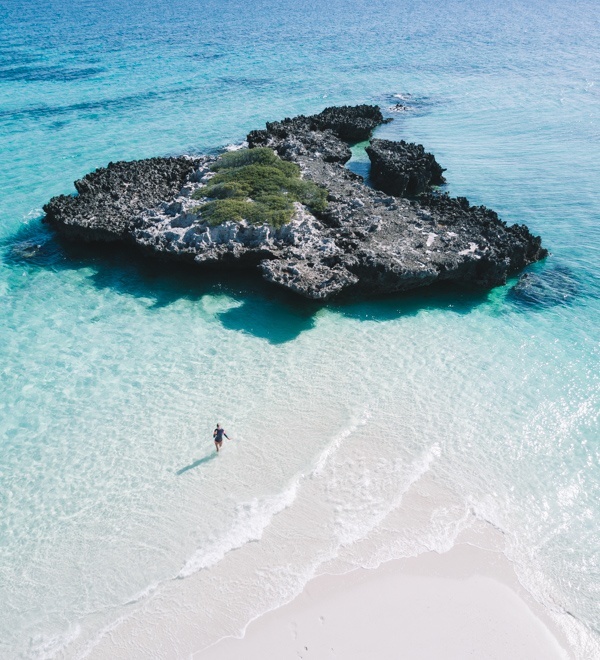 With 115 coral and granite islands to explore and almost half of the land protected, it’s an untouched part of the world with an endless list of things to see and do! It’s no secret that South Africa has my heart! I moved down to Cape Town almost two years ago, and there is ALWAYS something to see or do that I haven’t done before. 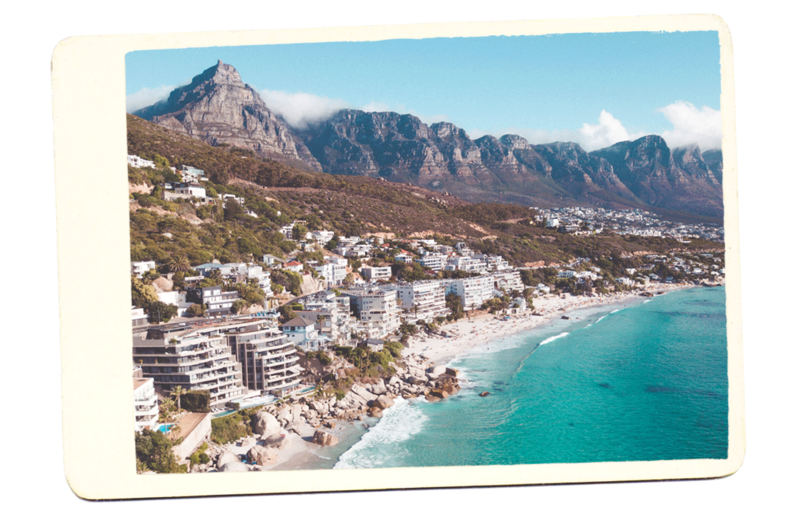 Whether you’re looking to explore Cape Town’s fantastic food scene go on a Big 5 safari or backpack your way through the country – there’s something for everyone! Tanzania is one of the top safari destinations in Africa. Home to Mount Kilimanjaro, the tallest free-standing mountain in the world, it’s natural heritage attracts thousands of visitors each year. But if you’re feeling burnt out from all the game drives, make your way to Tanzania’s coast. Located off the mainland are the Zanzibar, Pemba and the Mafia islands. It’s one of the top scuba diving destinations in the world with pristine coral gardens to explore! From crater lakes to endangered mountain gorillas and everything in between, Uganda is jam-packed with incredible scenery and a fascinating local culture. It’s no wonder the small East African country is called the “Pearl of Africa”! Uganda’s top attraction is Bwindi Impenetrable National Park. It’s home to over 400 mountain gorillas, and trekking to the different troops is a once-in-a-lifetime experience! Zambia is the birthplace of the legendary African walking safari and is blessed with incredible natural wonders. 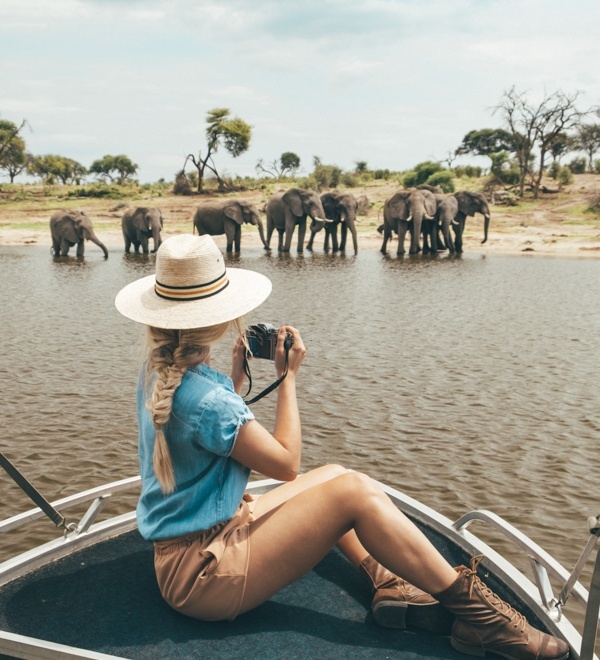 From the spectacular Victoria Falls to the mighty Zambezi river and abundant wildlife – it’s the perfect destination for thrill seekers and nature lovers. Zambia is also one of the safest countries in Africa, making it a great place to go if it’s your first time exploring the continent! While Zimbabwe has had a bad rep over the last couple of decades, it’s making a come back as one of Africa’s top safari destinations! For adventurous travelers that venture down to the capital city of Harare, you’ll find boulevards lined with trees and eateries waiting to be discovered. 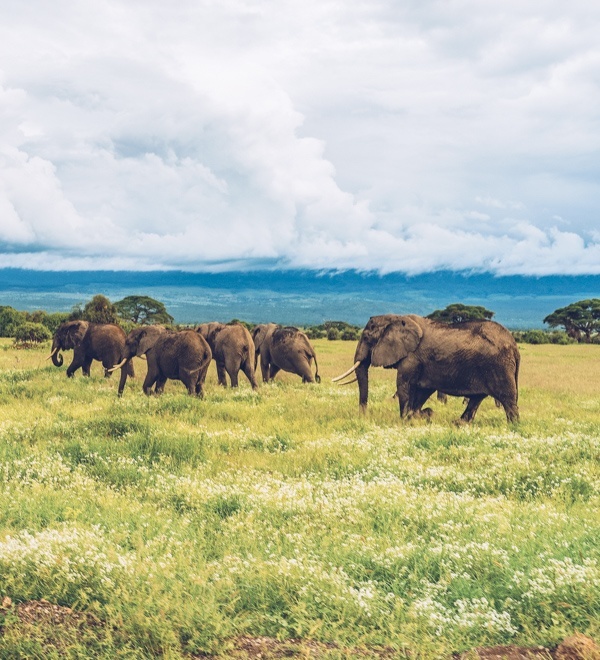 With fewer people visiting the country’s national parks, you’ll have an unmatched safari experience and Zimbabwe’s natural beauty all to yourself. 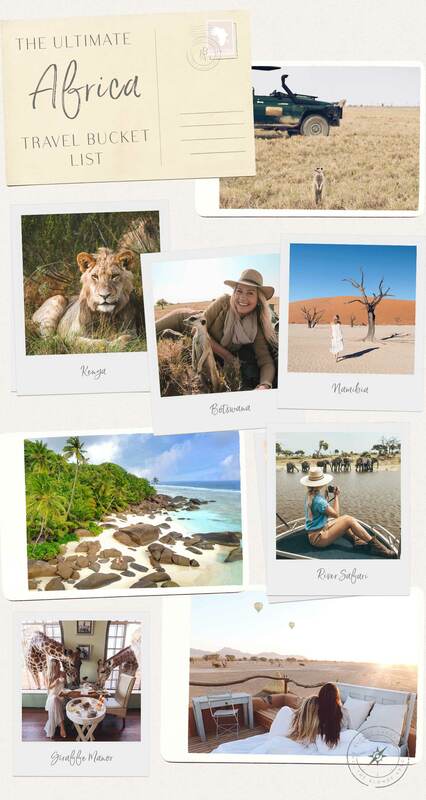 Which African country is at the top of your bucket list? Let me know in the comments below!